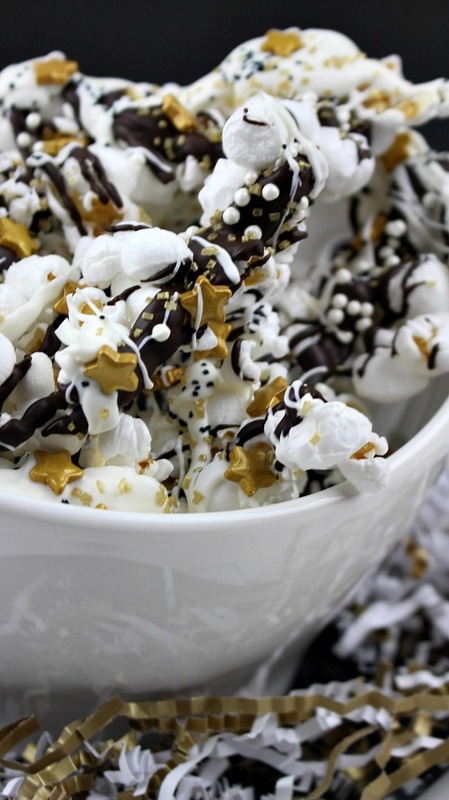 This popcorn is so easy to make, you could probably whip it up right before your party starts! And it’d be easy to make more mid-party if you run out (which is very possible, as it’s so delicious)! You might also want to consider putting this popcorn in treat bags for people to take home and enjoy on New Year’s Day! 2. In a microwave safe bowl, add the semi-sweet chocolate chips. Microwave for 45 seconds. Remove from microwave and stir until melted. 3. 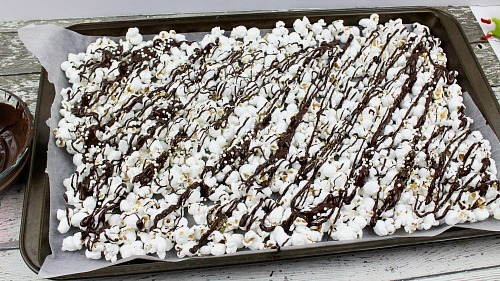 Drizzle the melted semi-sweet chocolate all over the popcorn. Before the chocolate hardens, drizzle the white candy pearls and gold sugar on top of the chocolate. 4. Add the white chocolate chips to a microwave safe bowl and microwave for 45 seconds. Stir until completely melted and smooth. 5. 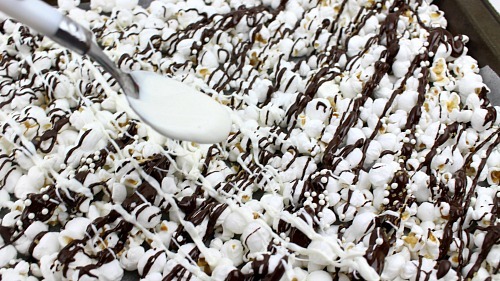 Drizzle the melted white chocolate on the popcorn. Before the chocolate hardens, sprinkle the black sugar crystals and golden stars on top of the white chocolate. 6. Place in the refrigerator and chill for 10 minutes to allow the chocolate to harden. 7. Remove from refrigerator and break up into pieces. Then enjoy your New Year’s Eve popcorn! 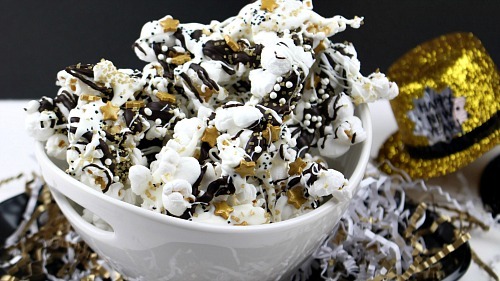 This festive popcorn can be stored in an airtight container for up to one month. What do you usually eat on New Year’s Eve? 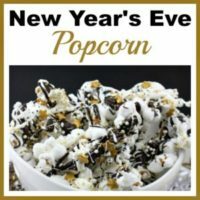 This New Year’s Eve popcorn is a great party treat, and is so easy to make! In a microwave safe bowl, add the semi-sweet chocolate chips. Microwave for 45 seconds. Remove from microwave and stir until melted. 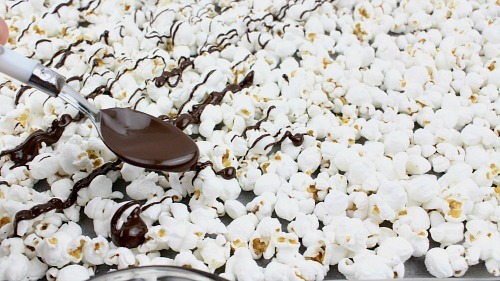 Drizzle the melted semi-sweet chocolate all over the popcorn. Before the chocolate hardens, drizzle the white candy pearls and gold sugar on top of the chocolate. Add the white chocolate chips to a microwave safe bowl and microwave for 45 seconds. Stir until completely melted and smooth. 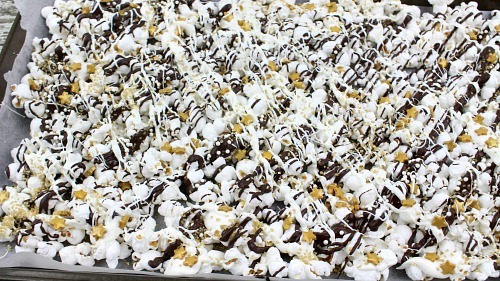 Drizzle the melted white chocolate on the popcorn. Before the chocolate hardens, sprinkle the black sugar crystals and golden stars on top of the white chocolate. Place in the refrigerator and chill for 10 minutes to allow the chocolate to harden. 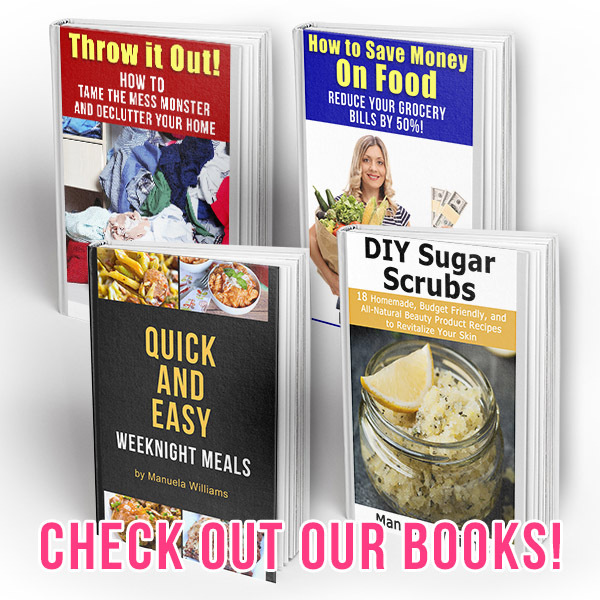 Remove from refrigerator and break up into pieces. « Wishing You A Wonderful Christmas and Holiday Season! 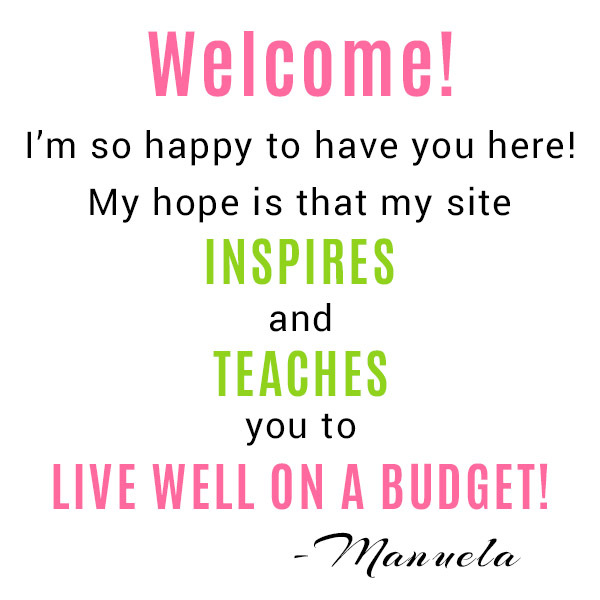 Hi Manuela, this sounds delicious and I like that it uses chocolate instead of that bark fake kind of chocolate. We usually eat finger foods for NYEve and black eyed peas and cabbage for the 1st.